Class dates will be confirmed once enrollment requirements are met. Please register to receive notice of confirmed dates. The premise that all parts of the human body are connected to the feet via energy zones or pathways dates back many thousands of years. Using a series of compression movements on specific areas of the feet, the body’s innate energy is supported, stimulated, or calmed, with the intention of restoring balance or homeostasis. The body has a unique ability to heal and restore itself. Reflexology encourages balance, homeostasis, via a holistic approach taking into consideration the physical, emotional, and spiritual well-being of each person. The BodySystems Method™ is a unique and well-established approach to providing reflexology with the intention of maximizing the client's experience and treatment benefits. With our clients in mind, this method also enables you, the practitioner, to be aware at all times the anatomy and physiology you are working, how that system supports and interacts with the other areas of the body and how best to support your client. We focuses no only on the physical concerns, but also the mind-body-emotional components at hand. As such, we are better able to assist clients through their individual healing process through consecutive sessions, to better collaborate and communicate with other heal practitioners, by following this systematic and logical approach. In becoming proficient and knowledgable, having developed a solid foundation level we can then begin to customize and focus the treatment plan to better address our client's concerns. This 42-hour course meets weekly for 14 weeks. Let us know if a more intensive, shorter training is preferred. * Massage therapists may request a CE transcript to receive 42 CE hours via NCBTMB #451383-10. Please check your local/state regulations about accepted CEUs. GA does not accept CE credits for reflexology. Over 36 years Roz has developed an international reputation for her instruction and therapeutic work in fields of Reflexology and Aromatherapy. She qualified in Reflexology in 1983 through the South African Institute of Reflexology in Johannesburg, and in 1984 trained in Aromatherapy with the Institute of Clinical Aromatherapy in London. Subsequently, Roz pursued advanced Aromatherapy studies with the Pacific Institute of Aromatherapy, completed the International Training Program in Essential Oils at Purdue University, courses in Aromatic Medicine with Mark Webb, Gabriel Mojay, Madeleine Kerkhof, and many others. Laura first began her journey in 1995 in the Health and Fitness industry and Corporate Wellness. She earned a degree in Health and Exercise Science from Furman University and began specializing in musculoskeletal imbalances, working with clients through diet and exercise. She grew frustrated with many missing elements that could also bring health and well-being to her client's lives. In 2007, Laura completed her degree in Massage Therapy, became certified in Herbalism, Reflexology, and Aromatherapy, and later, a certified Yoga Instructor.. Since 2013 Laura has provided Craniosacral Therapy and in 2017 completed Reflexology teacher training with Roz Zollinger. We are thrilled to have Laura teaching with us, guiding students in becoming professional Reflexologists. "Achieving health and wellness means honoring our natural cycles and the ebb and flow that comes with a balanced life. This is my goal for my clients and students, as well as myself." Q: Do I need a license to practice Reflexology? A: The practice of Reflexology is not regulated in the state of Georgia. You will likely be required to provide proof of training when applying for a business license. Many states require you to have some form of professional licensing. Check with your state massage board or reflexology board to determine what the reflexology licensing requirements are for your specific state. For instance, reflexologists are required to obtain licensing as a massage therapist in 38 states. Q: Will I be a Certified Reflexologist after completing this class? A: Upon successful completion of the course you will receive your certificate issued by the Heal Center, a Certificate of Achievement and Proficiency. 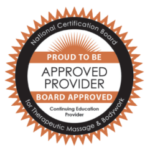 As Reflexologists you can study further to become National Board Certified, a nationally recognized credential by an independent agency. Q: What, if any, are the next steps after this class? A: Practice, practice, and practice! If you are ready for the next level of training, furthering your education and experience in our Advanced Reflexology Training offers in-depth anatomy and physiology study, advanced techniques and allows you to apply for testing with the American Reflexology Certification Board to earn the title of National Board Certified. You may also consider studying various applications of reflexology: hand, ear, face, etc. A: We provide all course materials and in-class supplies. An additional notebook is recommended. We offer a DVD for guided home practice (purchased separately). Q: Are there any requirements outside of the class? A: Students are required to complete and provide documentation of 10 clinic hours outside of class. A: Students are strongly encouraged to have one professional reflexology session with an instructor at the Heal Center, or a graduate of our program. A: Yes, for no additional cost we off four (4) equal monthly payments on the balance after deposit payment. The first payment due at first class and remaining payments scheduled for following 3 months. Payment plan requires a credit or debit card on file. Q: Does this class offer CEUs? A: Massage Therapists may request a transcript to receive 42 CE hours approved by NCBTMB #451383-10. Please check your local/state regulations for accepted CEUs.GA does not accept CE credits for reflexology, currently. Q: What is the BodySystems Method of Reflexology and when was it developed? A: Roz Zollinger founded the BodySystems Method™ of Reflexology in 1989, a unique approach whereby the practitioner works systematically through the major systems of the body via the feet/hands. The premise of reflexology is that all parts of the body are connected to the feet via energy zones or pathways (Similar, but not the same as the acupuncture meridians) By using a series of compression, the body’s innate energy is supported and the nerve system. Q: How long have the instructors been practicing/teaching Reflexology? A: Roz Zollinger has been practicing Reflexology for 36 years and teaching for 30 years. Get news on Reflexology classes & events! This course is designed to present 'digestible' lessons and discussion while providing ample time for supervised hands-on practice and observation. The weekly 3-hour classes each cover a specific body system, associated topics and time for questions and discussion. This structure provides you opportunity to practice and absorb the information between class meetings, without the stress of information overload. We find this to be an ideal learning strategy and best for work-life-class balance. As a guide and mentor in your journey into Reflexology we take pride in your success. Submit 10 documented sessions to be completed outside of class. No more than 3 classes will be excused. Student is required to make-up lessons missed. Make-up lessons may be arranged with an instructor (at an additional hourly cost to student, $40/hr). Missing more than 9 hours of class may result in having to attend a later class, delayed testing and graduation, or even forfeiture of class. Study and practice outside of class is necessary and expected (your family and friends will be very grateful). Gaining proficiency in any art and skill comes with consistent practice. Plan on reserving 3-5 hours per week, at minimum, for study and hands-on practice. Upon successful completion of the course and all requirements you will receive your Certificate of Achievement from the Heal Center. Register without payment. This will notify us of your interest and we will contact you soon. Registering without payment does not guarantee your place in class. You are simply letting us know of your interest and we will follow up with you. We feel it is important to have a chance to talk with you, to learn about your interest in Reflexology and your desired outcome, generally about the course, class dates and answer any questions you may have. We invite you to schedule a time to visit us, see our teaching space, and get a feel of the classroom environment. Begin your journey in Reflexology! Anytime. Classes are typically held three (3) times a year. 3 evening classes | 3 morning classes. • $100 registration deposit. See remaining balance payment options below. * registration deposit is non-refundable, non-transferable. • $610 due after $100 registration deposit. • You will receive a $25 savings with either option. • 4 payments of $152.50 per month, after deposit payment. • First payment due at first class. • Remaining payments scheduled for following 3 months. • Payment plan requires a credit or debit card on file. Beyond 2 weeks after start of class - No refund can be provided. Scheduled payments continue as agreed. Late fees are due with balance owed and also apply to late payments due to declined/ failed charges, insufficient funds and expired credit/debit cards. Please update card on file promptly, you will receive immediate notification of failed payments.